Batteries are rarely talked about – until they’re drained – then we’ll tell everyone as we beg desperately for a charger, hoping to get enough juice to last the day. The truth is, they’re a miracle of engineering that gets taken for granted when full and cursed when flat. If it feels like your battery is running out faster, you might be right. But it’s not because of ‘battery memory’ and needing to be cycled (that’s an older battery type called NiMh), it’s because the modern LITHIUM-ION batteries in phones and laptops just simply wear out over time. Fortunately, extending your battery life is easier than you think! Which of the following GOOD battery habits do you have? 1. Charge whenever you can: Lithium-ion batteries don’t like being charged all the way up and then drained all the way down. No wonder, it even sounds exhausting. Give them a little charge here and there, and they’ll be happy. 2. Leave your laptop plugged in all the time: You can’t over-charge the battery, it will just sit there waiting to be used. The laptop also helps out by cutting the flow of power when the battery registers as fully charged. 3. Watch for overheating: If you can, remove your laptop battery while charging, because while it won’t overcharge, it may overheat. You might also consider removing the battery if you’re using your laptop plugged in all the time. Sure, you might lose data if there’s a power outage, but overheating is a far more common occurrence and it’s been proven to degrade battery life considerably. Check your vents are clear with good airflow, and if necessary, help it out with a cooling laptop stand. 4. Leave your phone plugged in all night: Just like your laptop, your charger knows to stop when the battery is full. Those chargers do generate heat though, so make sure you have enough airflow around both charger and phone, and never sleep with it under your pillow. 5. Charge batteries before storing: If you’re blessed with backup batteries, make sure to give them a half charge before storing. They’ll naturally discharge and age over time, so this gives them a fighting chance to still be viable when you need them. 6. Keep your cool: We know to avoid water with our phones, but we’re less careful about exposing it to heat. This includes leaving it in your car all day, placing it on top of your PC, or even in a sunny spot by the window. Wireless and rapid chargers can also be an issue, as the amount of heat they generate will affect your battery. Having battery issues or questions? We can help! Call us at (920) 256-1214. Old age creeps up slowly – unless you’re a computer. Then it seems to happen overnight. One day you’re logging in normally and jumping right into the action, the next day booting up takes so long you not only have time to make a cup of coffee, you could have run out to the local café for the good stuff. This is the stage where many people throw their hands in the air and start wishing for a new computer.Except your computer isn’t broken and doesn’t need replacing, it’s just….slow.Time-wasting, focus-losing, frustratingly slow. 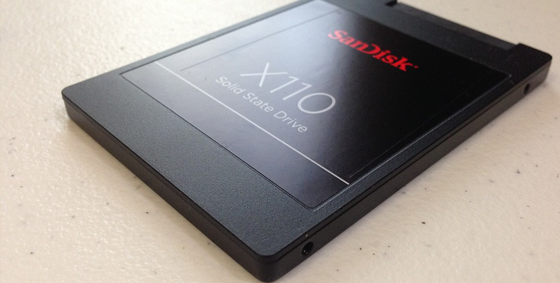 The new era of hard drives is here with Solid State Drives – and they have no moving parts. They’re actually a lot like your USB stick that continually takes a beating but still performs perfectly. Give us a call at (920) 256-1214 if you would like to look into upgrading to a solid state drive. The countdown is on for Windows Vista users. On 11th April 2017, Microsoft will cease all support and security patching, just like they did with previous Windows versions. Naturally, you’re rather attached to your current operating system and not exactly leaping for joy at this news! Unfortunately, the longer your computer goes without an upgrade, the higher the chance of a complete system breach. While you’re watching the count-down and thinking about scheduling an upgrade sometime soon, cyber-criminals are making plans of their own. As time progresses, they’ll actively target out-of-date systems and search for vulnerabilities. Compliance risks: For business users, this is a big one. Many businesses are subject to conditions that require them to run an operating system that’s regularly patched. For those working with sensitive, legal or private data, this is even more important. Continuing to use an unsupported operating system (OS) places not just the system security at risk, but also the entire business. Software incompatibility: New applications are created exclusively for current operating systems. This means you can’t upgrade past the software you now have and will soon be phased out of new updates and options across all application types. No support: Vista mainstream support was stopped back in 2012, but there were always avenues if you were really stuck with something. This includes a quick Google search, an expert on call, or even sympathetic support staff at Microsoft helpdesk willing to bend the rules; as of the 11th of April though, that all stops. The only support available will be outdated pieces you can locate with Google, solutions which may send you in circles with no resolution. The solution is quite simple: upgrade your computers to Windows 10 well before the April 11 deadline. Windows 10 is the latest release and will give your upgrade investment the most value over time, as well as the best security Windows users have ever seen. Vista will continue to work after April 11, but every day you use it puts your system at increasingly higher levels of risk. Get in contact by calling us at (920) 256-1214 to upgrade your Windows. The best way to avoid a computer virus is by using common sense, but that doesn’t mean you’ll be safe from attack. Even the most careful user can find themselves infected in an instant and spreading the virus faster than a sneeze in flu season. It’s why antivirus software is still the first package we install on all systems – because you never know when you’ll be attacked. The question is: should you choose free or paid antivirus? Effectiveness: It’s fair to expect your antivirus to detect malware, and testing showed that in a head-to-head battle free and paid are about equal at catching known infections. And therein lies the kicker: generally speaking, free antivirus needs to have recorded a virus to its library before it can detect it. Paid antivirus is more likely to identify and stop a new virus. It essentially bases the detection on suspicious behavior, source and attributes, a far more effective method of detection. Support: Free antivirus options are the most popular choice because they’re…free. Obviously. This also means there’s generally no support available. If there’s a problem or conflict with another program, you may find yourself without protection until it can be resolved. Paid antivirus options usually include remote support, ready to help with problems ranging from installation to system diagnostics. Ease of use: Depending on what you use your computer for, this may be an important concern. Free antivirus options are easy to install and use, but are very limited in their flexibility. They come “as-is”, meaning you can’t pick and choose what it monitors or how it reacts. For example, users occasionally find it necessary to disable ALL protections in order to install a network game. Paid versions are more likely to allow you to adapt the way it runs, switching features on and off as required. Free antivirus is fine for very basic protection for those on a budget or those with an older PC. In these cases, something is always better than nothing. But we generally recommend you go with a paid antivirus to defend you from the new attacks that are released daily, and to ensure you’ve got solid protection that will make a real difference to your digital safety. If you are thinking about upgrading your anti-virus or need computer repair or computer tuneup services, give us a call at (920) 256-1214. We will be happy to assist you in making the right choice for your computer! I’m calling out tech scammers and the tricks they’re using to con millions out of computer owners each year. If your computer had a virus, you’d want to know about it ASAP, right? Before your important files become corrupted, you lose your photos and your digital life is essentially destroyed. Even thinking about it is terrifying. You receive a random phone call from someone with a heavy accent (usually hard to understand) saying they’re from Microsoft, or an alarming pop-up appears on the screen, saying it looks like your system has been infected with a virus. Demands for credit card information follow immediately after. Once paid, they simply stop fiddling with your system to make it seem the problem is fixed. To continue the scam, they’ll soon access your system to recreate the problem, this time offering a subscription for ongoing protection. Then give us a call at (920) 256-1214 and we’ll make sure they no longer have access to your computer.